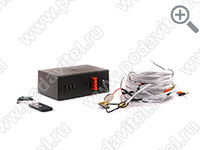 Information protection unit “Chameleon ANG-3” is a multipurpose jammer aimed to protect negotiations room from listening devices, voice recorders and laser microphones. Using “Chameleon ANG-3” will significantly decrease the possibility of information leakage from your negotiations room, as well as protect you negotiations or talks from third party involvement. 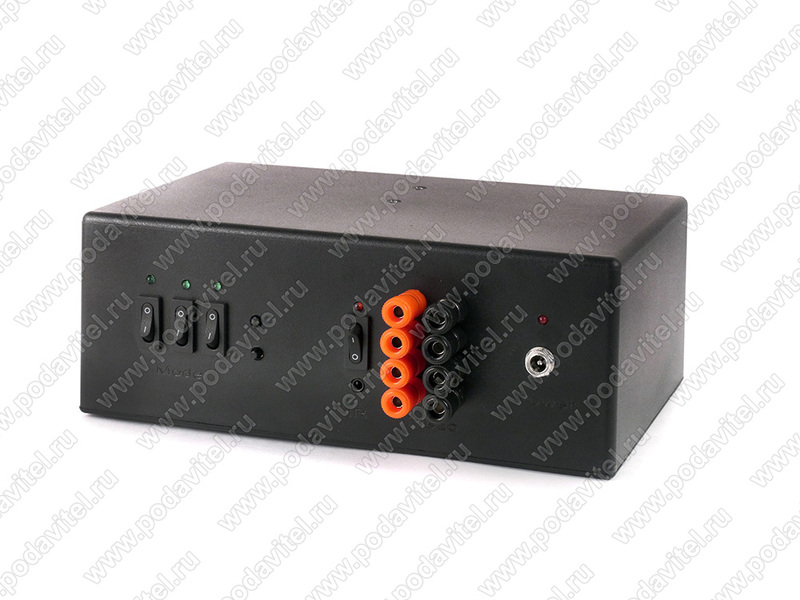 This jammer is developed and manufactured by Logos Company. Information protection unit “Chameleon ANG-3” is the new version of our previous unit Information protection unit “Chameleon ANG-2”. 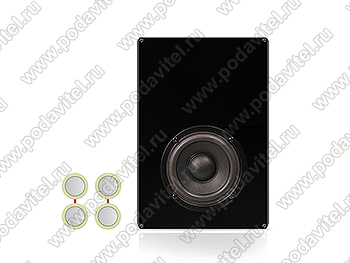 In this new jammer we added more features: more powerful speaker, all kinds of bugs jammer and increased number of vibroacoustic speakers. 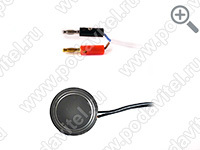 Laser microphones used for listening through windows. It’s not a fiction nowadays and such devices are available for everyone. We found an easy solution for this complicated issue – planting vibroacoustic speakers on windows will not allow for laser microphones to work through window. All kind of listening devices operating via radio bands. The easiest way to get the information is to plant a listening device, which can transmit recorded info via radio channel. 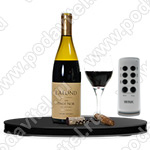 There are plenty of such bugs on the market, but they all have one weak point – radio channel. Our unit is able to jam 10 different radio bands which are used for data transmission. 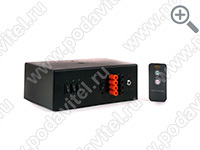 The jammer can prevent recording to all types of voice recorders (digital and analog). Most commonly such voice recorders are planted behind ceiling panels, because there is always a feeding line and no one checks this place often. The most effective counteraction against these devices is acoustic interference or “Voice chorus”. 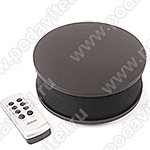 Protection against all types of laser microphones. Planted on windows this protection will prevent you from being recorded through windows. Jamming all kinds of wireless listening devices. Bugs that use mobile communication and wireless internet channels to transmit recorded information. 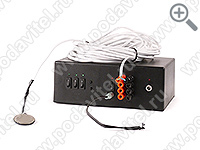 Acoustic jamming of all types of microphones and recording devices. 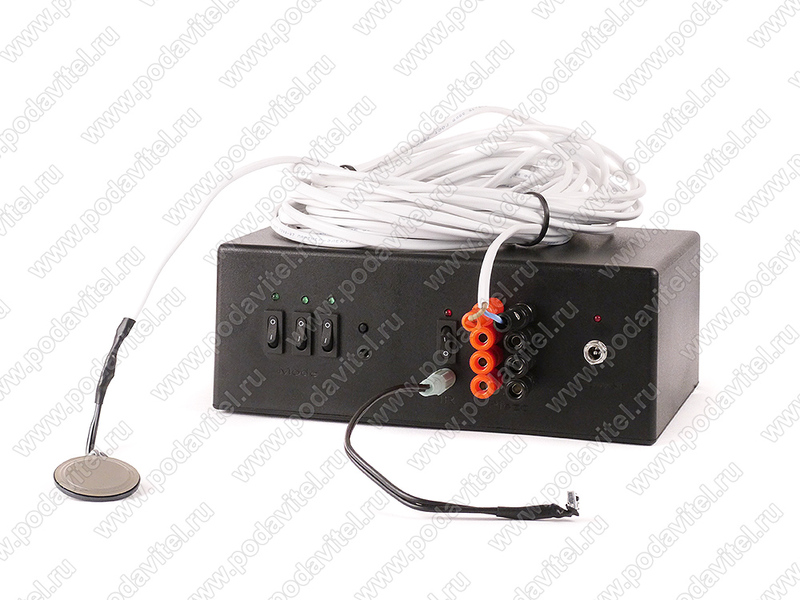 By using the mode “Voice Chorus” you can easily suppress any voice recording device. Remote control of the jammer. 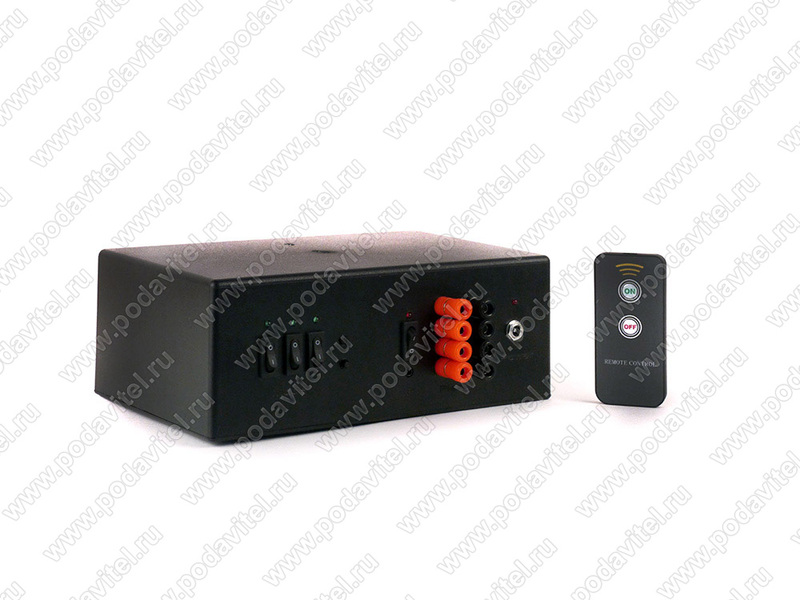 “Chameleon ANG-3” has remote control for activating or deactivating the jammer. Simple installation process for the jammer. Installation of the jammer does not require any special knowledge or skill. The unit is planted between the main ceiling and the ceiling panel , then lead out the wires with vibroacoustic speakers and plant them on the window glass. 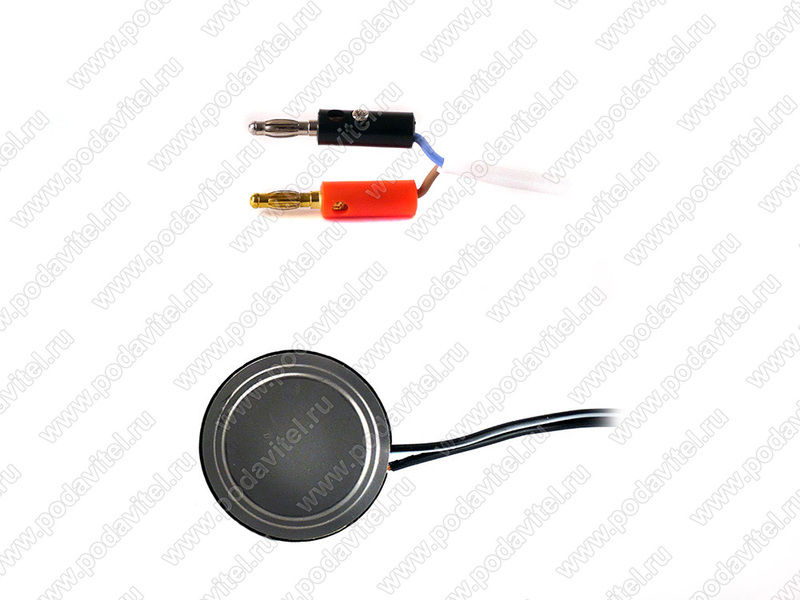 2 variants of installation: directed with speaker to the top – will protect the space between the mail ceiling and panel ceiling from bugs and other devices, directed with speaker down - will protect the room space from voice recording devices. 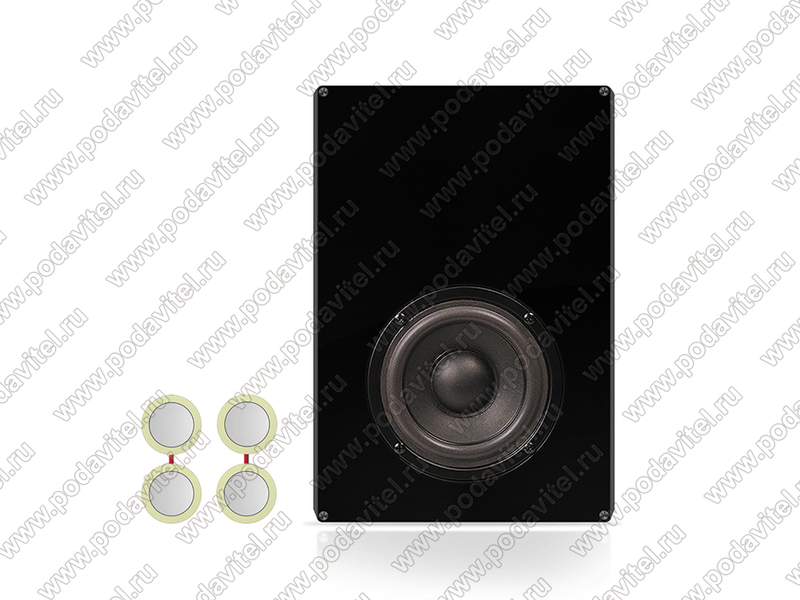 Vibroacoustic emitters quantity: 4 pcs, could be added up to 50 pcs!